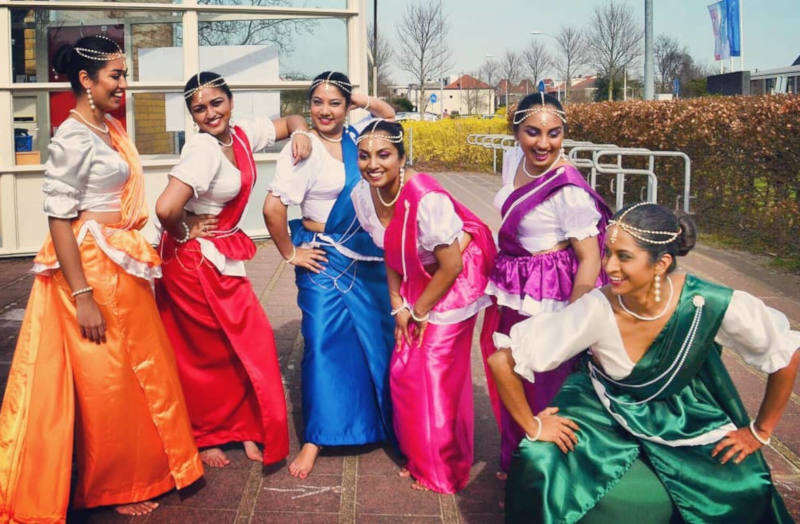 Apart from its warm weather throughout the year, known the world over as one of the largest producers of unconventional tea, and the friendly and hospitable nature of the Sri Lankan people, Sri Lanka is a melting pot of diversity dating as far back as the 1500s. From the beaches to the mountains and everything in between, you are bound to be overwhelmed by the innate beauty this country possesses. 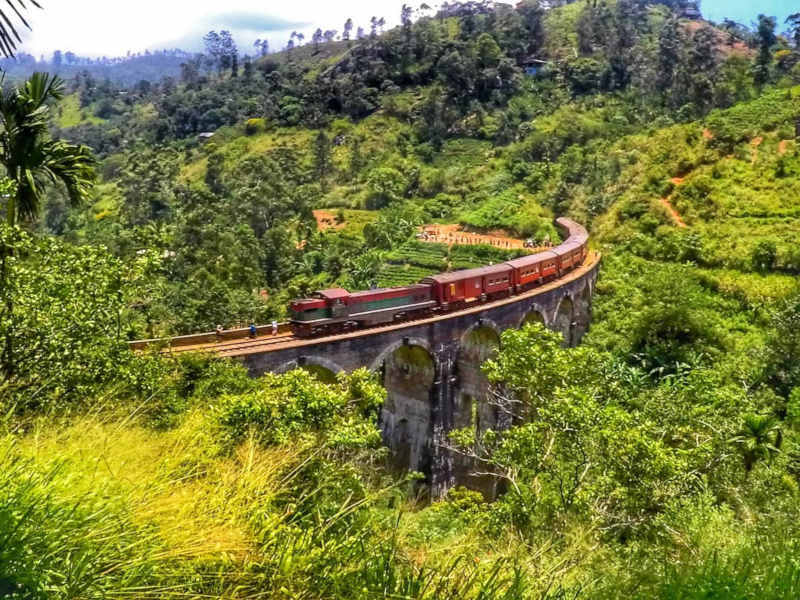 You might also be surprised when you discover the best time to visit Sri Lanka. Sri Lanka has two seasons, the dry season, between December and February, and the wet season between June and August. The island’s climate is tropical, hot, humid and heavily influenced by the warm surrounding Indian Ocean. 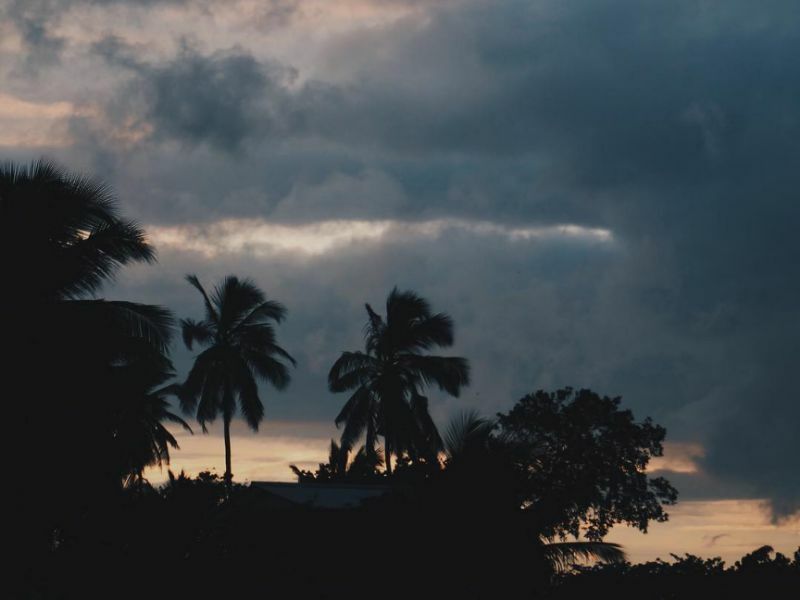 Sri Lanka’s proximity to the equator means that temperatures remain fairly constant year-round, however, the weather is heavily affected by both the northeastern and southwestern monsoons during the monsoon seasons. The north sees the warmest temperatures around the beginning of the year ranging between 24°C and 33°C. This area has been known to reach temperatures of 40°C. The island sees rainfall throughout the year although it varies quite drastically starting from as low as 1,250mm on the northeastern side of the island and increasing as much as 5,000mm on the southwestern side of the island. While there is rainfall year round, there are two distinct monsoon seasons. The southwestern monsoon from May to July, and the northeastern monsoon from October to December. As it suggests, this southwestern monsoon travels through the southwestern part of the island. The monsoon is heavily influenced by the Indian Ocean with most of the rain falling on the southwest corner of Sri Lanka such as Colombo and Galle, and into India. Although the southwestern monsoon is, for the most part, the more gentle of the two with mainly short and sharp showers that tend to pass quite quickly, this monsoon has been known to cause weather-related disasters such as harsh winds and cyclones. Bar one or two showers, this is definitely one of the best times to visit Sri Lanka. The temperatures remain in the high 20s and the beaches are pleasantly warm and dry. The northeastern monsoon is heavily influenced by a low-pressure area or depression from the Bay of Bengal with most of the rain falling on the northeast slopes of the central highlands. Kandy, which is situated just north of the highest mountains is affected by both monsoons but receives almost double the amount of rain during the northeast monsoon season. In fact, the lowlands of the north and east receive most of their annual rainfall during this season. The northeast monsoon brings the coolest temperatures and affects more of the country than the southeastern monsoon. 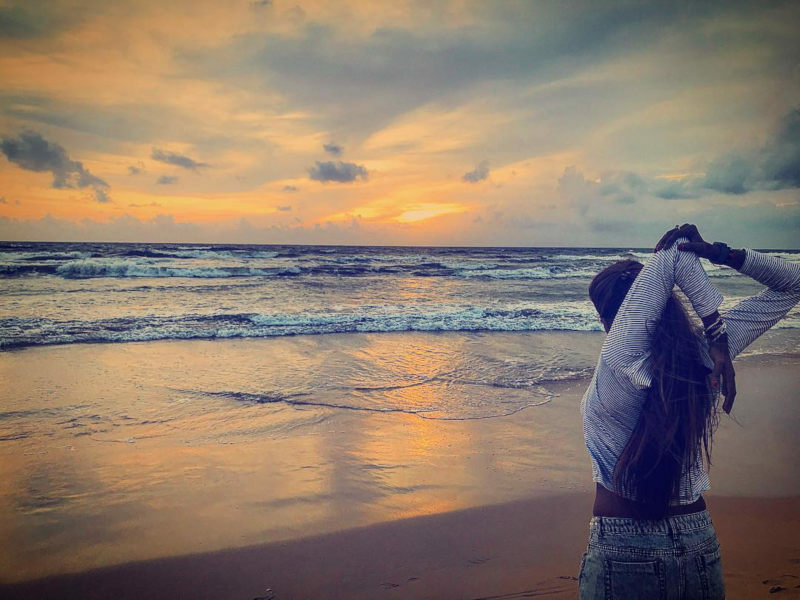 So, when is the best time to visit Sri Lanka? Well, technically, you can visit any time of the year as long as you are impartial to a bit of rain. Since there are no predominant seasons in Sri Lanka other than hot and dry or hot and wet, it is advised to carry as many of the below items which will come in handy as you travel through the various districts – whether it be the beachy lowlands, the cooler highlands or covering up while visiting a temple. 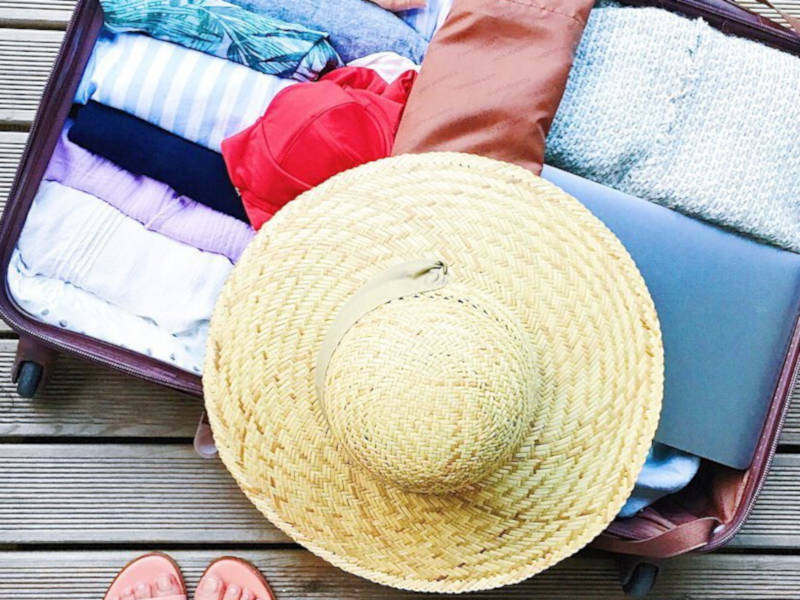 Whatever you decide to pack, light clothes made of natural fibres will be your best bet. Please remember when entering the temples, it is customary to remove your shoes and to cover up the rest of your body. 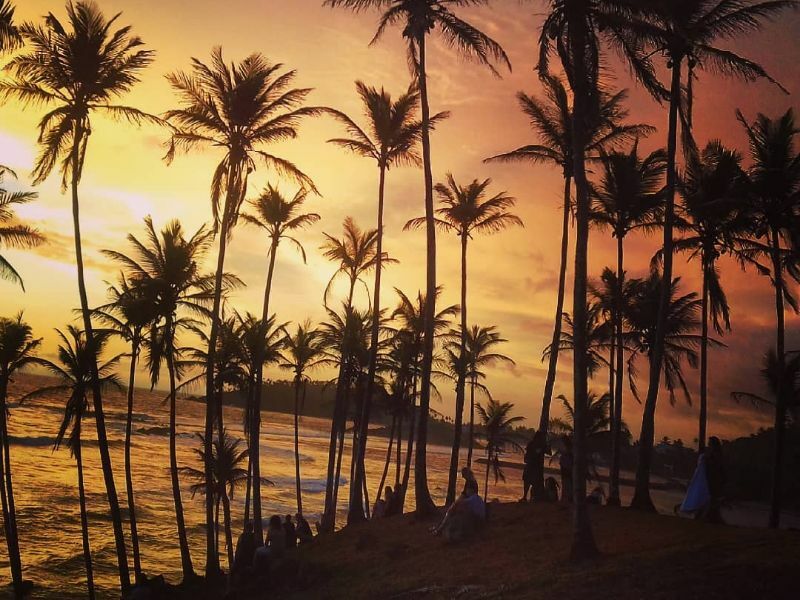 Read up on a backpacker’s guide to Sri Lanka. During the winter or dry months, the sun rises between 06:05 and 06:30 and sets anytime between 17:50 and 18:20, giving you average daylight of around 12 hours a day. The summer or wet months do not vary too much. The sun rises anywhere between 05:50 and 06:00 and sets anytime between 18:15 and 18:20 giving you average daylight of around 12.5 hours a day. Some would say the best time to visit Sri Lanka would depend on the surf and sea. Well, fortunately, the sea temperatures in Sri Lanka are warm all year round ranging anywhere between 20°C and 28°C at any given time. The slight variation of temperatures is due to the monsoon seasons when the temperatures may drop ever so slightly. How much are flights to Sri Lanka? Peak season falls over the December/January months, the general peak season for South Africans to travel. School holidays means that families are able to get away for longer periods of time with their families. This also happens to fall over peak season to travel to Sri Lanka where the weather is perfect and sans monsoon rain. South Africans can expect to pay up to 18% more on flights over December to April months. Also remember that airports, hotels, and hotspots will be pricier and difficult to access with tourists from all over the world travelling over the same period. Make sure you book early to avoid exorbitant costs and very few options for availability. Low season falls over the South African winter period, May to August, which is just perfect. What better way to enjoy a bit more summer than escaping the South African winter? 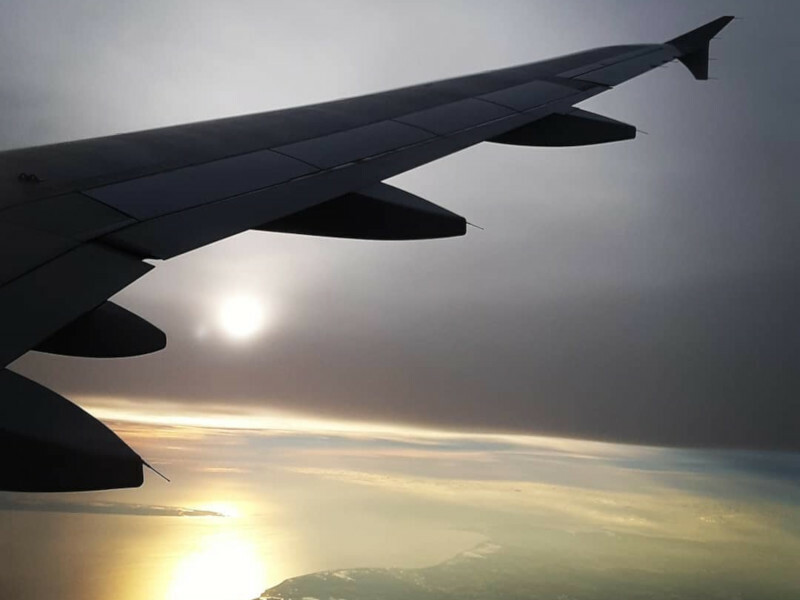 South Africans can expect to save as much as 20% on flights when travelling over this period. These savings could add an extra few days to your holiday or maybe just treating yourself and/or your loved ones to a bit more of a lux holiday. The best way to ensure your flights and accommodation are at an all-time low is not only to book out of season, but also to book about three months in advance. Travelling costs will be a huge factor when deciding the best time to visit Sri Lanka so don’t leave your bookings to the last minute. You might also be interested to know how to apply for your Sri Lankan visa. There is something for everyone on the island whether it be visiting a temple, walking through the tea plantations, or merely spending time on the beach. You are not likely to be at a loss of finding ways to keep yourself busy. Being a predominately Buddhist nation, however, means a large number of the annual festivals are of the religious and cultural variety. We have mentioned just a few of the events you may be interested in experiencing while in Sri Lanka. If religious and cultural experiences are what you are after, then plan your trip over the full moon during the month of May. 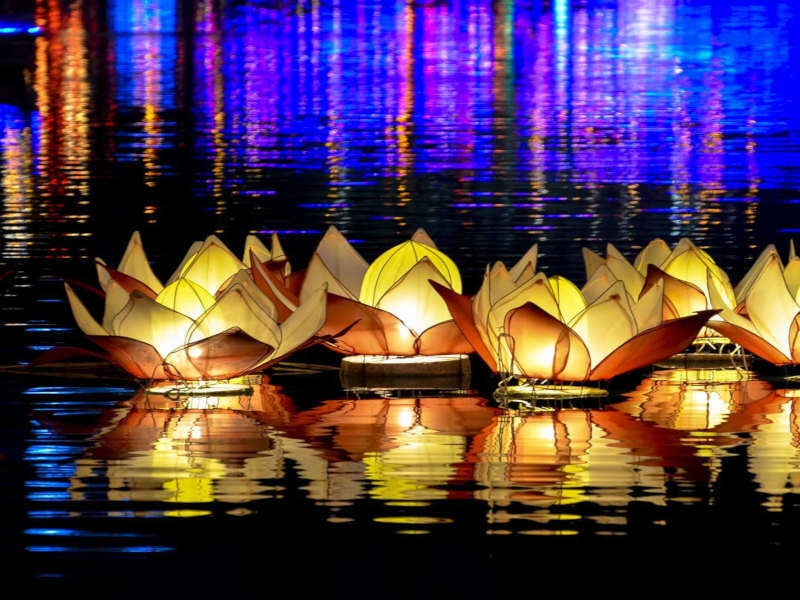 Celebrated by Buddhists all over the world, this is one of the biggest events on the Buddhist calendar. Temples are filled with devotees and pilgrims from all over the country to celebrate this special event. Buddhists wear white and worship over flower lamp lights, and burn incense to commemorate the life of Lord Buddha on this holy day. Sinhala or more commonly known as Avurudu is the celebration of the new year of the Sinhalese people. The new year is not only celebrated by the Sinhalese but also enjoyed by most of the inhabitants of Sri Lanka. This public holiday is celebrated over either 13 or 14 April at the first sighting of the new moon This new moon also marks the end of the harvest season and of spring. The beginning of Sinhala sees families carrying out rituals in exact timings from lighting fires to making traditional eats. Once the rituals are complete, families and children are seen out and about in the streets mingling, celebrating and feasting with fellow friends and family. Book your trip early for this one because wildlife and photography enthusiasts from all corners of the world will be equally as anxious to witness the sighting of the single largest gathering of elephants in the world: a migration of 300 elephants! Also known as “The Gathering”, this natural phenomenon has been observed for centuries but is still one of the most astonishing reunions to observe. As the monsoon moves in over the forested districts, the elephants go in search of drier pastures and trek to a man-made reservoir known as Minneriya which was built in the 2nd century where they enjoy the lush green grass as the reservoir recedes. The monsoon then makes its way to Minneriya at which point the herds will make their way to another reservoir at Kaudulla National Park. The monsoon continues to follow and ends around November when the heard then makes its way back to the forest. 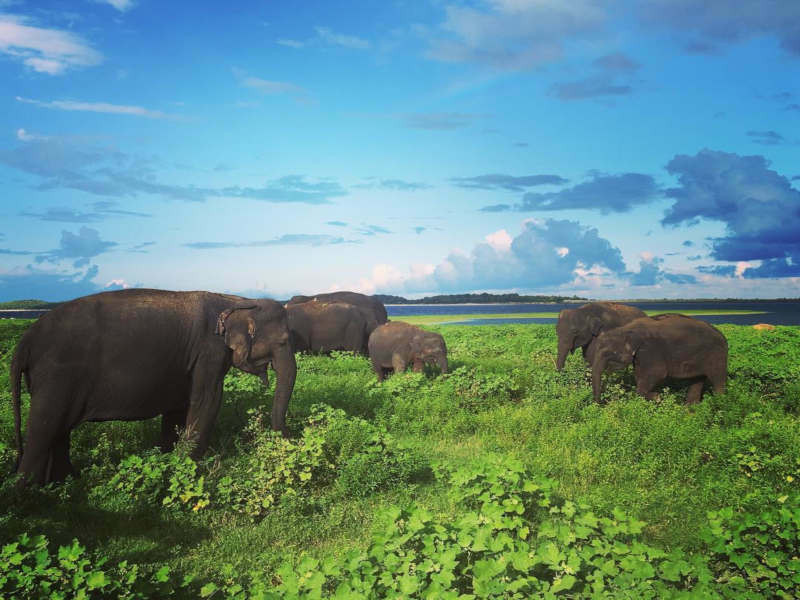 Perhaps now you have better clarity on the best time to visit Sri Lanka? It is certainly easy to see why hundreds of visitors flock to this beautiful paradise annually. In fact, some say Sri Lanka is the new Thailand. Do you have any other tips which helped you decide on the best time to visit Sri Lanka? Please share them in the comments below. Get ready to book your next dream holiday to Sri Lanka! Sign up to our newsletter and be the first to know about all our cheap flight deals and travel tips. The post The traveller’s guide to the best time to visit Sri Lanka appeared first on Travelstart Blog.